Dell is in a lot of hot water for shipping lousy hardware. One wonders why the same fate has not befallen Apple, the company that is so arrogant as to elegantly package a brick and call it an iphone or an ipad and charge you heaps of money for it. Macbooks are only slightly better. It was only a couple of months ago that my Macbook died off. Fortunately I was able to bring it back to the land of the living thanks to Ebay. 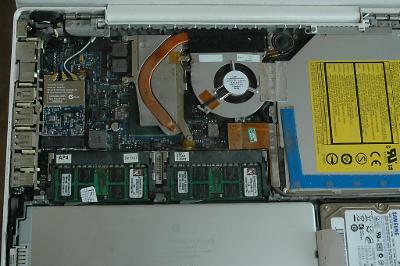 The price that the local Apple dealers wanted for fixing it was enough to buy a netbook. And the 13" macbook is only slightly more powerfull (or bigger than a netbook anyway). Yesterday, my father's mac refused to power up. He had shut it down normally the previous day. I never shut down mine for fear that it wouldn't start up again and in his case it didn't. So he tried all the usually remedies like resetting the SMC etc etc but when none of them worked, I was asked to take a look. I immediately suspected a broken cable like happened with mine. After taking the damned thing apart (there are about 20 screws to undo), I found the cable was ok. Anyway to be safe, I tested with another cable only to find that the computer doesn't start up. I bet you are itching to ask if I tried a different battery or a different power supply. You bet I did. So the only logical conclusion now is that the mother board (Illogically named the Logic board by Apple is toasted). And guess what? this is the second time that the mother board on this computer has got toasted! The first time around it was still under warranty but that is no longer the case. There are plenty of logic boards for sale on Ebay. But they are of no use whatsoever. That's because Apple being as stupid as they are, have thought fit to solder the CPU onto the mother board. Yes you heard that right, in Apple notebooks you cannot upgrade the CPU unless you are an electronics engineer. Even then most electronics engineers may not have the equipment needed to replace the CPU or the motherboard at home. 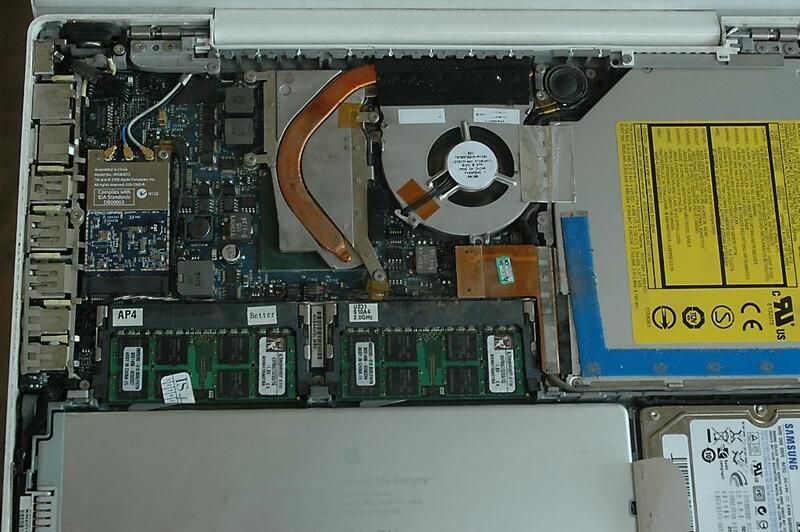 The best thing to do with this macbook seems to be to cannibalize it for parts, any of the macbooks that belong to other family members or close friends are sure to develop some fault before long.